16/11/14. Alqosh, Iraq. 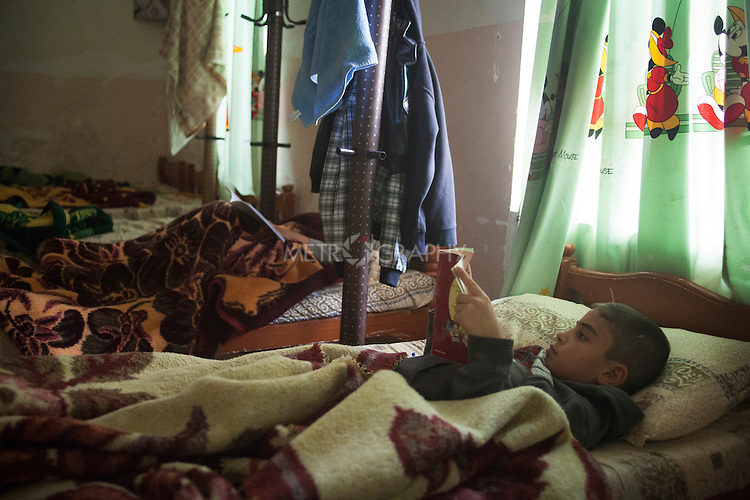 Milad (right) reads a book in his bed in the dormitory. The children are allowed to stay in bed for longer because it is a Sunday.